On the 22nd of August, 2015, WebGuru Infosystems celebrated 10 years of Webcognition! We thank everyone associated with us for helping us make this day possible. With the treasure of experience and expertise earned during all these years, we look forward to our future endeavors with optimism and confidence. Not very long ago, our small team of a few earnest men started out in mutual pursuit of professional integrity and excellence. Technology then was not what it is today. Website requirements were sparse. Most of the programming frameworks used today were not very popular then. We worked on extensive desktop applications for almost all major educational institutes in Kolkata. With occasional requests for web applications coming our way, we moved forward with the challenge. With every experience, WebGuru has matured and adopted itself to the changing business and technical environments. We started out with deploying simple informational websites. Dynamic websites were developed with notepad coding. With every advanced requirement, we evolved more into dedicated teams each for Design, HTML, Programming, Graphic, Animations and Content Writing. Then we took another leap forward with CMS tools, online video streaming, social networking and custom chat projects. Presently, we develop sophisticated websites with the on-demand tools and are making our mark in sphere of Mobile Space with our innovative native and hybrid Mobile Applications. We have also formed a team to provide associated services of Internet Marketing and Project Management. 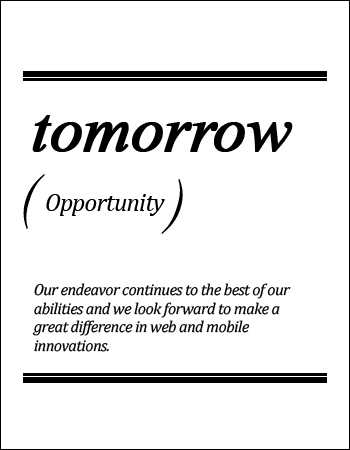 Moving forward in this industry, we are highly optimistic of our future ventures. Furthermore, with over 10,000 Happy Clients and 20,000 Projects, we take this opportunity to appreciate the efforts of the people who have made ‘today’ possible for us and those who have believed in us. 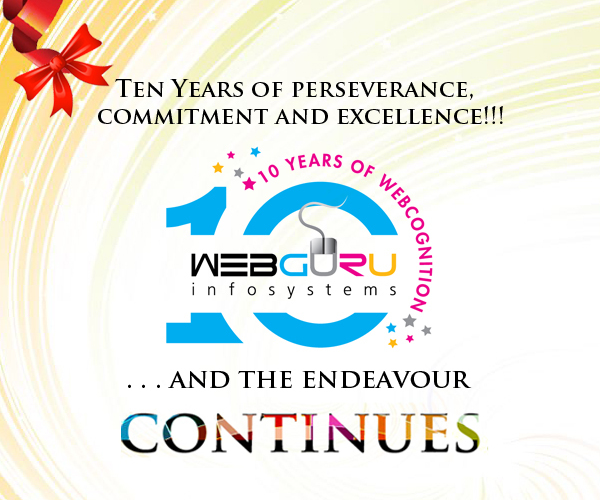 We acknowledge the hard work of the entire WebGuru family for achieving excellence and helping us make the past ten years so successful. 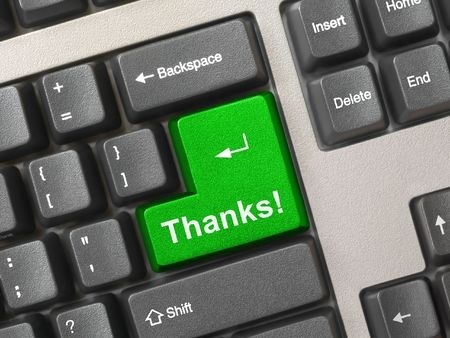 We appreciate our clients, both domestic and overseas, who handed over their responsibility to our company with faith. It will be wrong to only classify this milestone as our own achievement. 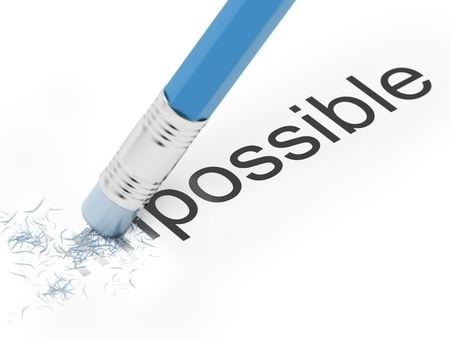 We request our clients to keep counting on us the way they do. Also we thank every individual who has been a part of our growth and wish them well for a better tomorrow. Proud being part of the wonderful journey.. congrats Team! Congratulations for your wonderful journey of 10 years of success and I hope the same for the future also. We hope your firm reaches to new heights in the coming days. I think the word “WebCognition” highlights Webguru’s consistent successful journey. This has only been possible due to tireless effort to serve customers with full dedication and authenticity. Congratulations for your wonderful journey. Please time to time do provide offer newsletters to your existing customers.